I cover these in our latest newsletter. Learn how to use this simple yet vital TFT tool. This book explores how energy fields can be measured in your own body by the use of a simple voltmeter. This amazing book explores how changes in these energy fields can have significant adverse affects on your overall health and how using a simple voltmeter can help you monitor these changes which can be corrected with TFT! If you have any interest in staying healthy (and who doesn’t) this book will change the way you monitor your health. You can purchase it here for $37 (Reg, $79). 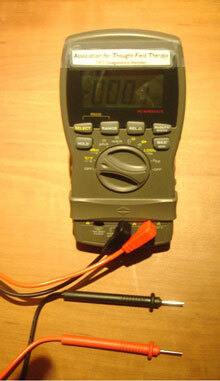 voltmeter from NEGATIVE to POSITIVE. the pH in the body, preventing the growth of foreign cells. zeolite, the supplement doesn’t have any major side effects like most detoxifiers. 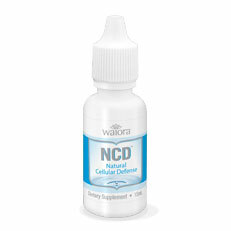 Features: The most economical Zeolite detox on the market. Approx 90 servings per container. Very finely micronized Zeolite. Other forms are now available. Using a proprietary micronization and activation process, Natural Cellular Defense isn't just a superior product, it is the only zeolite product proven effective in ridding your body of chemicals, toxins and pollutants. The most expansive level of Synchronicity digital technology is only available in the Recognitions Program. This is the leading - edge of the High-Tech Meditation experience. Because of its impact, facilitation is required and included – the support and guidance of an experienced and qualified coach – which is an integral part of the Recognitions Program. While historically people have meditated in caves and sacred geometrical spaces to consistently enjoy the Now experience, that option is not available to those of us living a contemporary lifestyle. Fortunately, modern technology makes this experience available and effortless, using sacred geometrical frequencies of vibration digitally encoded into audio format for amplification. The “Now” experience of true reality is available through NOW... The Technology. Click here to get it today! OM is an ancient Sanskrit word containing a vibrational energy that is used to still the mind and bring the meditator to a balanced state of being. This soundtrack will deliver inner peace to the listener. These meditation music soundtracks are created using Synchronicity Sonic Technology enabling anyone to quickly have a meditative experience. 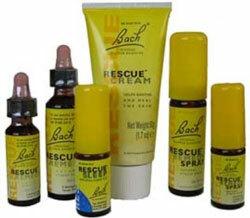 Alpha technology produces a light meditation which is experienced as relaxation and happiness. Muse is a tool to enhance your wellness by helping you to train your brain. It’s designed to build on the healthy body and mind you are already working on by providing you with real-time feedback during daily guided training sessions as short as 3 minutes a day, any time any where. It is believed that Heart Rate Variability (HRV) will become as common as pulse, blood pressure or temperature in patient charts in the near future. In the last ten years more than 2000 published articles have been written about HRV. HRV has been used as a screening tool in many disease processes. Various medical disciplines are looking at HRV. In diabetes and heart disease it has been proven to be predictive of the likelihood of future events. In 1996, a special task force was formed between the US and European Physiological associations to outline current finds on HRV and set specific standards on using HRV in medical science and future practice. Since then a steady stream of new information and value continues to come out of HRV research. It all started in 1966 when a variation in the beat-to-beat intervals between heartbeats was noticed. Initially all recording devices were averaging heart rate data stream trying to get rid of any rapid HR fluctuations. Then there were very specific patterns in such fluctuations were noticed that had links to certain conditions way before any clinical symptoms appeared. Contact Chris@tftrx.com for prices and brochure. 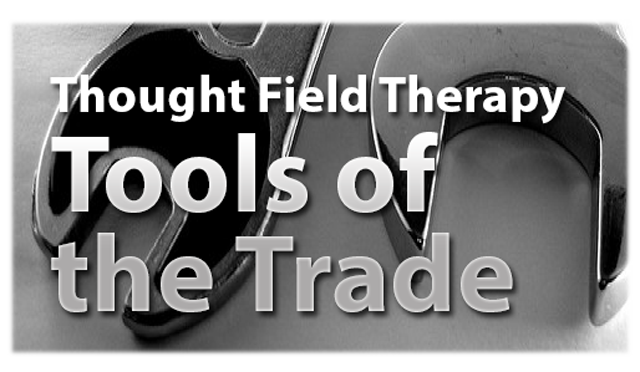 In the last Thought Field we shared many of the valuable “Tools of the Trade” that we use within our practice of TFT and for better health. I asked some of our long time practitioners to share something about their application and benefits. Norma Gairdner briefly mentioned “Progurt” as one that she consistently used. “My focus in assisting people toward improved and sustainable health has been based on the willingness to seek out and do what works best. Homeopathy and TFT are two skills upon which I have depended for achieving excellent healing results, consistently over time. Progurt is a Human Probiotic Isolate developed from breast milk. It is a multi-strain probiotic that contains the most fragile, and often missing, strains - the replenishment of which naturally creates wholesome and impressive results, and not only in the gut. For example, I had one Autistic child client who had never hugged her mother from the front, but always turned her back for a hug. Within minutes of taking her first few sachets of Progurt, she turned around, hugged her mother from the front, and said: "Hi Mom! ", which was also a first! Another client suffered repetitive strep throat and multiple ear infections for years, and after taking Progurt to replace the missing strains (from overuse of anti-biotics), the chronic infections ceased completely. Personally, I appreciate how Progurt has made it possible for me to travel internationally without getting sick, as I always did in the past, and in fact, I shied away from flying because of it. Now, I simply take 2 Progurt sachets before getting on a plane, and also 2 after arrival, and voila - no down time. If you're in general good health, and would like a boost to your immune system, Progurt can assist you to be even stronger and healthier. And if you're in poor health, struggling to maintain, there's a chance that the Progurt bacteria may provide the what's been missing. Oh, and another thing - after taking the dry sachets as needed for various conditions, you can use the sachets to make the most delicious and healthful yogurt ever. Progurt to me, is one of the very best uses of "food as medicine". Note: I too use Progurt satchets to prevent getting sick when traveling around the world. 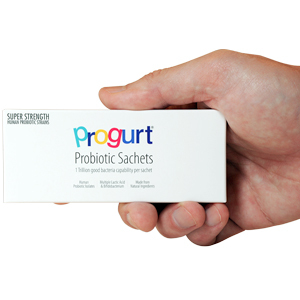 Please visit – www.progurt.com to learn more about the products and email them at info@progurt.com.au for pricing – be sure to put “TFT Practitioner” in the subject line, in order to get a significant savings on your order. New: Become a Certified TFT Practitioner. We now offer our TFT Algorithm Course online... in our new e-learning center. Learn all of the TFT algorithms and get the official TFT-Algo Certification. Learn To Use TFT To Help Yourself and Others. Copyright © 1999-2011 Callahan Techniques, Ltd. All rights reserved.